The same is true for seniors who have spent decades making their own decisions and living their own life, then suddenly loss of control seems to be everywhere – loss of health, loss of strength, loss of peers, loss of home, loss of self. The constant feeling of loss can really take its toll. One of the biggest concerns we hear about from clients is staying in control. Not coincidentally, staying in control is one of the main goals we strive for when designing an estate plan. I know you want to stay in control, so our first planning steps are aimed at keeping you in control. Tools like Powers of Attorney, Wills, Revocable Living Trusts – they all help keep you in control. Using tools like these will help you get to spend the money, invest the money, give away the money, donate the money or whatever you want to do with the money – just like you did before your estate plan. Many times, these tools can actually help you stay in control LONGER than you would without them. You can do a lot of good planning without giving up ANY control now. Even when you have to give up some control, it may be less than you think. Depending on your goals, you may have to give up a little control. Are you willing to give up some control if that’s what it takes to meet your goals? Control issues don’t stop at your death. Instead, it becomes which of your kids are in control. Your planning (or lack of planning) will either add to or lessen the potential conflict once you’re gone. By “staying in control” and not doing any planning, you may actually be undermining your desire to stay in control. Our unique process thoroughly examines all the unique aspects of your situation to determine what steps will best protect you, your family and everything you’ve worked so hard for. To get started planning, give us a call at 217-726-9200 and schedule an Initial Meeting. 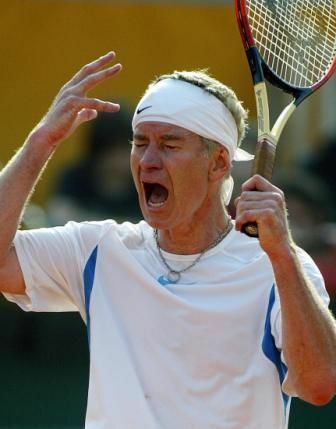 http://edwardsgroupllc.com/wp-content/uploads/2013/02/mcenroe_yelling.jpg 429 336 David http://edwardsgroupllc.com/wp-content/uploads/2014/02/USE-Logo-estate-planning-280x100.png David2013-02-27 12:10:142019-01-28 13:38:06"You're NOT the boss of me!!"